Ever had that rotten smell in your kitchen from deteriorating food because your Commercial Refrigeration is not doing its job? Can you imagine the effect on your customers. If you have inadequate refrigeration equipment, the cost in lost customers, not to mention inventory, could be huge. Make sure your equipment is doing its job; come see us at Vortex and put your concerns to rest. For fruit and fresh foods, ice flakes makes all the difference. It looks good, thanks to its versatility, and tastes good, thanks to its freshness. Ice flakes also has great potential for use in the pharmaceutical industry. Celcold’s CAT series angle top freezers are the ultimate merchandiser for ice cream and frozen food products. Maintain the quality of your ice-cream and frozen foods in these reliable freezer merchandisers. Accessories are not included. Picture is for illustration purpose. Maintain the quality of your ice-cream and frozen foods in these reliable freezer merchandisers. Accessories are not included. Curtis walk-in Systems consist of sectional, modular prefabricated panels, designed for ease of installation, high insulation value, usable storage capacity and reduced operating costs. 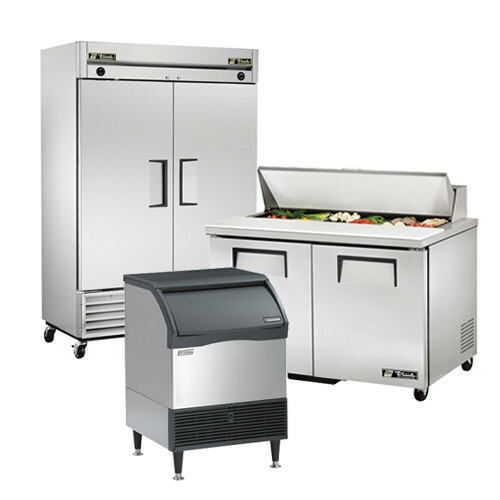 Using steel construction, these stand up reach in coolers are available in 3 sizes to meet your needs. High quality stainless steel cabinets. Bottom-mounted cooling unit. Refrigeration system holds 33°F to 41°F. Freezer system holds -8°F to 0°F. Error Codes to diagnose service issues.